Last month at the rodeo in Tucson, Arizona—La Fiesta de los Vaqueros—Jake Orman and I won the second go-round in the team roping with a time of 4.6 seconds. I left the arena and was riding to the parking lot, when another team roper, Shain Sproul, called out. I first roped at Tucson when I was a young guy. I believe it was 1976. Back then, team roping was not a standard event at most rodeos. There was no team roping at Austin, Houston, San Antonio or Fort Worth. 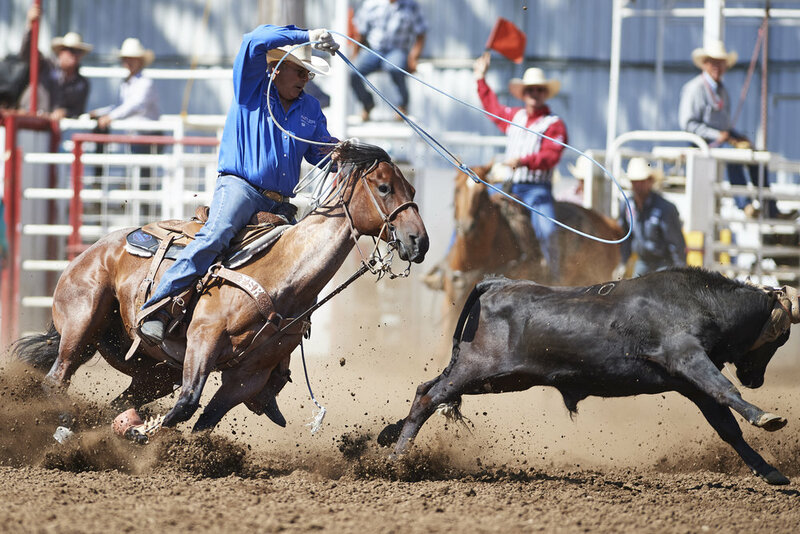 Tucson was one of the biggest rodeos that you would go to for team roping. It was kind of like our Houston. That’s where I saw the famous guys I grew up reading about—guys like the Camarillos, Ken Luman, Les Hirdes and Ted Ashworth. I grew up idolizing those guys. I didn’t do any good back in those days, but I got to go there and rope against them. When I first showed up at Tucson, I thought the steers ran so fast, the score was so long, the arena was so big. It was just huge. Gigantic. It still is, but I’ve come a long way since then. I can still win, but I’ll admit, it was a surprise to break the arena record. What has to happen to set an arena record? You need a good steer. We had steer number 21. He should be put in the Hall of Fame as the world’s greatest! He was slow. He ran a great pattern. He didn’t duck his head. And you need a great partner, like Jake, who also holds the arena record at Denver. Jake is super fast, super aggressive. He was great on the barrier. Did I do anything special? Not really. To me, Jake set that run up and made us as fast as we were. It’s a surprise to think that since the rodeo started nearly a century ago, that was the fastest steer that anyone has ever roped there. That’s an overwhelming thought. Considering all the great people who have roped there, it’s humbling. Such an honor. To win a major against guys today, all the stars have to be aligned. These guys are incredible. They are so good anymore. They’re so dedicated—so young, so fast. They’ve got such a great attitude. To a man, they’re all great guys. And they’re just dripping with talent. That hasn’t always been the case. Why? I don’t know. The sport has evolved, in terms of the sponsorships, the fans, the money you rope for. I think it’s brought a whole different guy to the table—guys that are dead serious about roping and have good horses. They’re not making mistakes outside of the arena. They’re not out drinking or using drugs. They’re taking care of themselves—running and working out and studying films and spending more money on horses. And the money has gotten way better. I won the world championship for heeling in 1981. That year, I won a total of $46,000, including my National Finals Rodeo earnings. I only cleared $5,000 for the whole year. The night I won the gold buckle, I went out to dinner with a group of people to celebrate, and I just outlasted them for the check. I couldn’t pick it up. I didn’t have enough money. I multiplied the five-thousand I cleared that year by ten years, and I came up with fifty-thousand dollars, and that wasn’t going to be enough. And that’s if I was a ten-time world champion! Most people in my generation ended up with nothing at the end of their rodeo career. They had to go get a job. It would be like John Elway after his football career having to get a job driving a truck. John Elway? He should be done and heading to the Keys to fish and play with his grandchildren the rest of his life. After my son, Travis, was born in 1983, I started putting on roping schools. I felt like I could have won the championship several more times, but I had to think about the future. I stopped going everyday and trying to make the NFR and win the world championship. I did make the NFR, but that was no longer my main goal. I didn’t want to leave rodeo. It was hard for me to leave. I felt like I was in the prime of my career. But if I continued to rodeo full time, I was going to end up selling used cars in Stockton, California. I don’t mean to be disrespectful to car salesmen or Stockton, which is where I grew up. I was not going to be able to retire and afford a property if I stayed in the rodeo business at that time. You couldn’t even have a sponsor on your shirt. It was against the PRCA rules to have anything on your shirt. That’s how backwards things were. I don’t know why they banned sponsorships, but I do know that guys were starving to death. Over time, the rodeo business started to change. I started seeing guys with patches on their shirts. Sponsors got more involved. Around 2004, one of my students said I should apologize to everyone I had ever taught, because I was teaching an outdated style. Usually something like that wouldn’t affect me—who says that kind of thing anyway?—but it bothered me. I got to thinking, Is he right? Have I been out of the loop so long that I’m not up to speed? Am I living in the past? Am I teaching an outdated style of roping? Why would a comment like that from a beginner affect me? I figured there must have been something to it. When you’re teaching, you can become a legend in your own mind. Say you teach fly-fishing, and I’m a rank beginner. It’s easy for you to be an expert in fly-fishing, because I don’t even know how to hold a fly rod. When you’re around beginners all the time, you can become a legend in your own mind. Was that happening to me as a roping instructor? One clue that he was wrong is that some of the same guys I had beaten for the world championship were still winning. I knew my style had worked against those guys at one time. But I had to be sure, so I decided to rope again. I set three goals for myself. 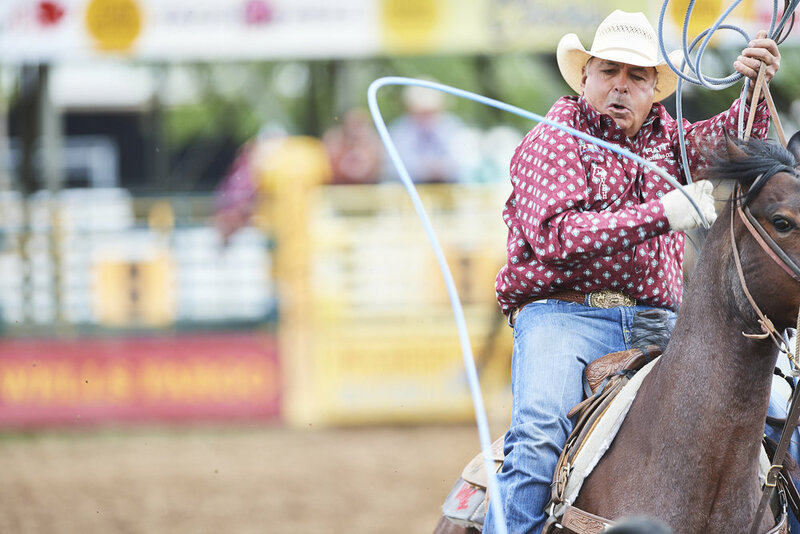 One: I wanted to see if a fifty-year-old man could make the NFR in the team roping. Two: I wanted to reach the million-dollar mark in earnings. By 2004, I was watching guys reaching the million-dollar mark, and I was envious. After eight or ten years of rodeoing, they’d be in the million-dollar club. Twenty years earlier, I was grinding it out for $46,000 a year, and I was the world champion. At that pace, even after twenty years, I wouldn’t have reached a million dollars. But the money got better. Three: I wanted to be considered for the National Cowboy & Western Heritage Museum’s Rodeo Hall of Fame. I grew up idolizing rodeo cowboys. I think they’re the coolest group of people I’ve ever been around. When I was a kid, we visited the National Cowboy & Western Heritage Museum in Oklahoma. The famous bucking horse Midnight is buried there. I got emotional walking through the exhibition halls. I thought it would be great just to be considered for the museum’s Rodeo Hall of Fame. At first, no one would rope with me. I roped a little in 2004. In 2005, I got better and started winning more. I didn’t change anything about my style. I just relied on hard work. I come from a family with a great work ethic. My father shod horses. My mother was Portuguese and cleaned houses. They got up early in the morning and worked all day long. We watched Bonanza and The Andy Griffith Show and went to bed at 10:00 o’clock. That’s how our lifestyle was. At 10:00 o’clock you went to bed, and at 5:30 the next morning you got up. You had breakfast, and you left the house at 6:45. I grew up shoeing horses with my Dad. I don’t know of many jobs that are harder than that. I just applied that same work ethic to roping. To this day, I’m what they call a practice rat. I rope every day. In 2006, I was roping with Matt Sherwood. He won the world championship that year in the heading, and I was runner up in the heeling. I thought, If I can beat everybody but one guy, surely I can beat one more guy. The next year, I did. In 2007, I was roping with Clay Tryan, when I won the gold buckle for heeling. That year, I won $94,487 at the NFR alone, at the time an event best. I set another record that year, the longest span between gold buckles—twenty-five years. The next year, 2008, I hit the million-dollar mark. And in 2010, they put me in the National Cowboy & Western Heritage Museum’s Rodeo Hall of Fame. In 2014, I was inducted into the Texas Cowboy Hall of Fame. 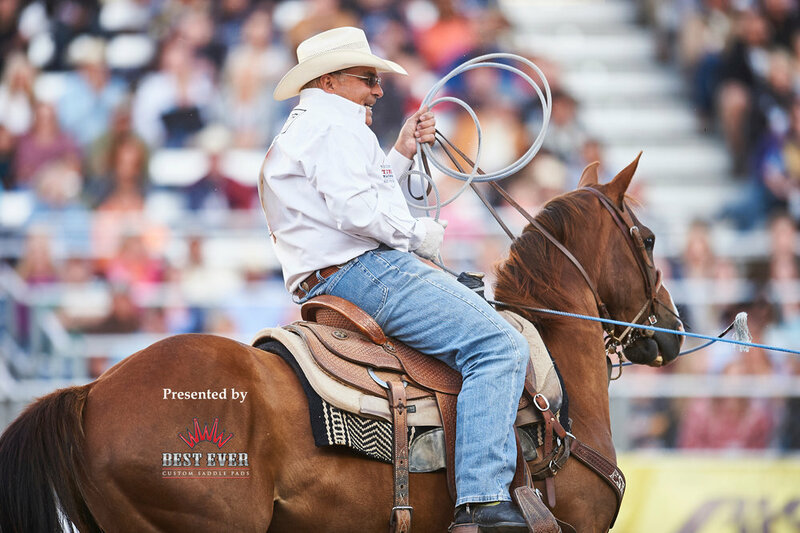 To be considered for the PRCA Hall of Fame, you’ve got to be retired for six months. But I’m not even close to retiring. The goal now? I want to be the oldest guy to ever make the National Finals Rodeo in the team roping. I’m 63 this year, and I’ve been to six rodeos and have about $5,000 won. I’ve got a great partner in Jake Orman. I’m super excited to be roping with him. I get up every morning excited about going back to the NFR. That’s what I want to do.